WELCOME BACK YOU SPRING BREAKERS. 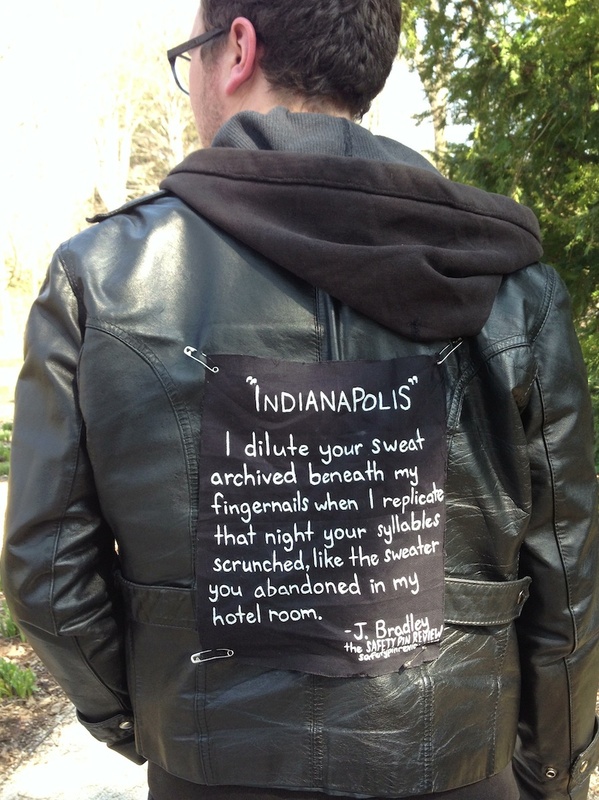 With all the debauchery out of your system, we hope you can enjoy this latest issue of the Safety Pin Review, which itself reflects on a heated night from long ago, in that other tropical state: Indiana. About the author: J. Bradley is the author of Bodies Made of Smoke. He lives at iheartfailure.net. About the operative: Dirk Walker is host of the podcast Inside Joke. When he’s not podcasting, he likes to perform stand up comedy and spin some of the funkiest music the Bible Belt has never heard. You can follow him on Twitter at @dirkwalker.